Whether you're looking for your downtown crash pad or expansive estate, our search engine is directly connected to the source of all market data in the Metro region (Metrolist). You can search with confidence knowing that you will see the most accurate marketinformation - right here. For over 25 years, Veronica has been working with buyers, sellers, and developers of residential real estate. She has accumulated the unparalleled expertise and experience necessary to understand the varied needs of her clients. She is known among her peers for bringing new ideas to the table through her relentless detailed analysis of the ever-evolving housing trends while executing negotiations under the guidelines of white glove service. 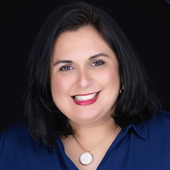 As a mother of two and native Texan, she has developed and maintained an extensive list of contacts and clientele. Along with Veronica’s complete commitment to her clients, she is equally commitment to delivering results. Veronica maintains proper market awareness, marketing techniques, salesmanship, and expert negotiations all key components to a successful transaction. She ensures maximum marketing exposure, identifies the proper position of her client’s property in the market, and delivers the maximum value for her clientele. You can rely on her expert knowledge and repeated success in navigating you through the complex negotiation process. From the first meeting to the final signature, Veronica’s clients often note her positive energy, focus, commitment, and follow-through. You can expect the highest level of service and the utmost dedication. She approaches each client with two ideas in mind, build the relationship and outperform the markets. She is the agent with the answers.